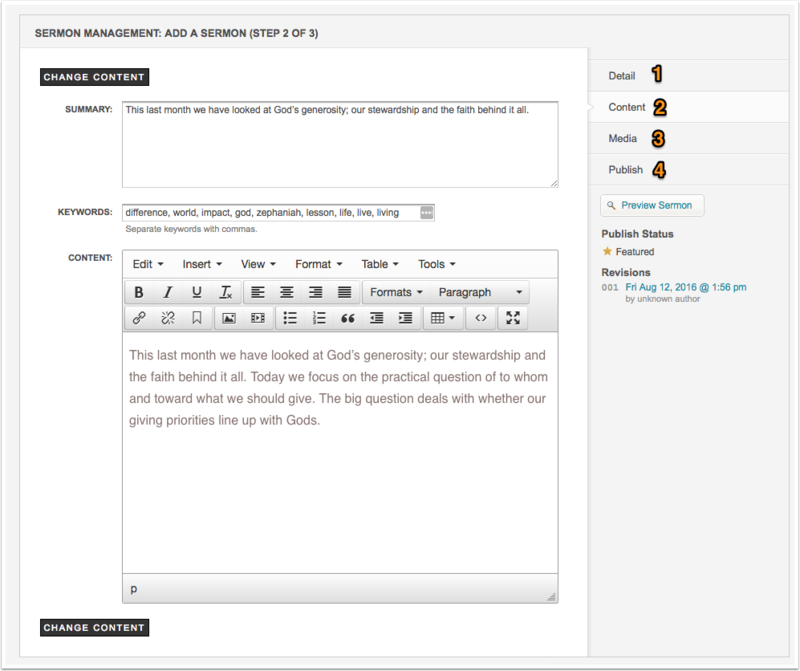 Sermons Layout #3 was specially designed to showcase your current and past Sermon Series. 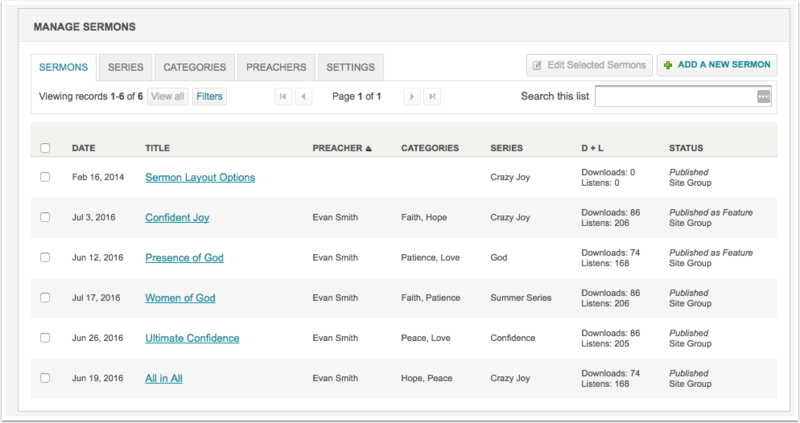 This page displays the latest Current Sermons Series image, title & summary in the left column, and then displays all of the sermons in the series in the right column. 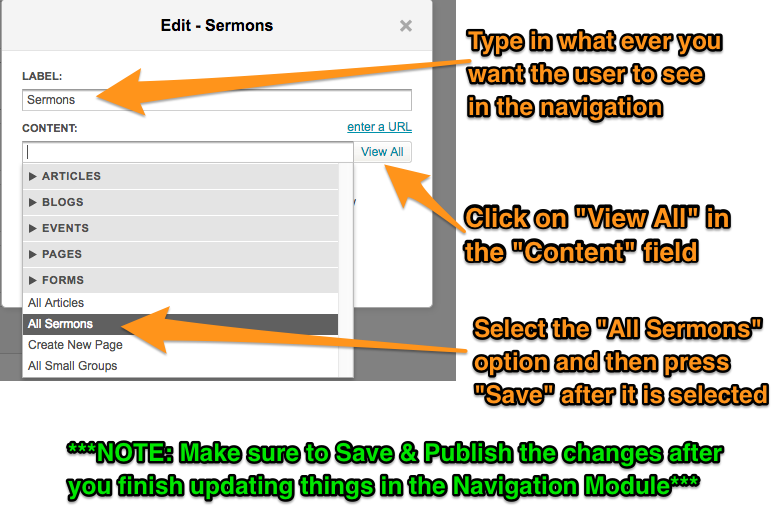 The layout also includes a 'Filter By' bar at the top which allows viewers to filter sermons by Series, Category, Month and Preacher. 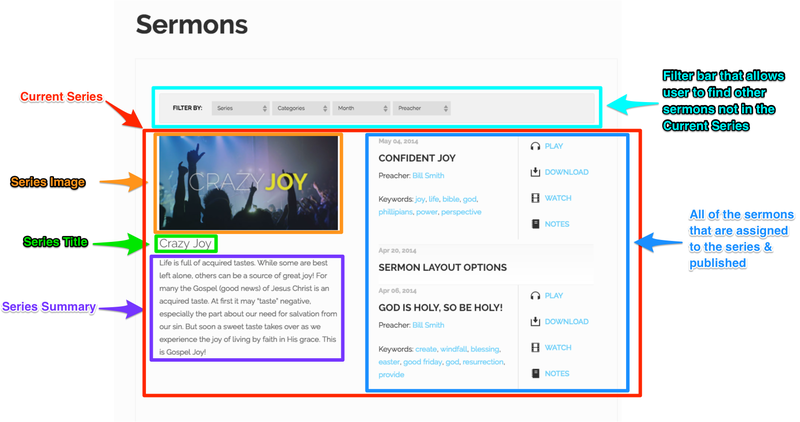 All Sermon & Series Images should be at least 691 pixels wide by 389 pixels high. 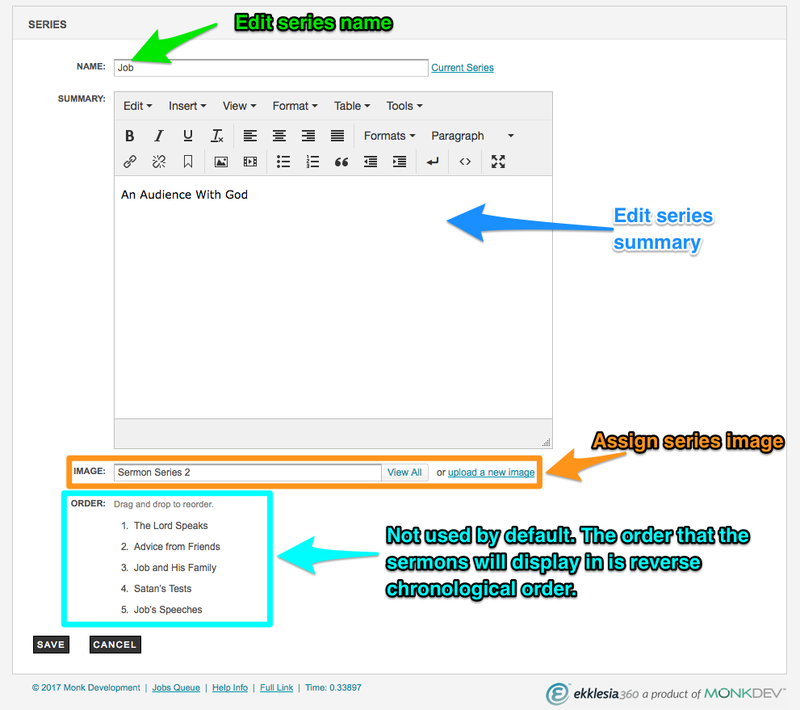 Other image sizes can be used as long as they are the same ratio as the recommended size.